RIFT’s Public Test Shard (‘PTS’) was updated on the 28th (& 29th) October 2015 with an ~60mb download. RIFT Store has gotten T2 bundles (placeholder) and T2 weapons; T3 DPS/Tank Test packs available; Dimension Key Bundle Icons; Forgemaster’s Inferno feature image; and a new Fire Ash Strider mount skin. RIFT Store Gear Updates. Tier 2 Bundles; Tier 2 Store Weapons. There’s two additions to the RIFT Store in terms of gear. There’s Tier 2 Armor/Weapon Bundles as well as Tier 2 Store weapons available for direct purchase. Tier 2 gear bundles have now popped up on the PTS under RIFT Store -> Equipment -> Bundles. Note that the Credit values are the same as the Tier 1 bundles, so they are likely placeholder. The preview for the bundles is also the Tier 1 gear, although the tooltips show the correct Tier 2 gear. As we’ve seen previously, these will most likely become available once Tier 3 is released. Note: Individual armor pieces under RIFT Store -> Equipment -> Armor do not have a Credit price yet. 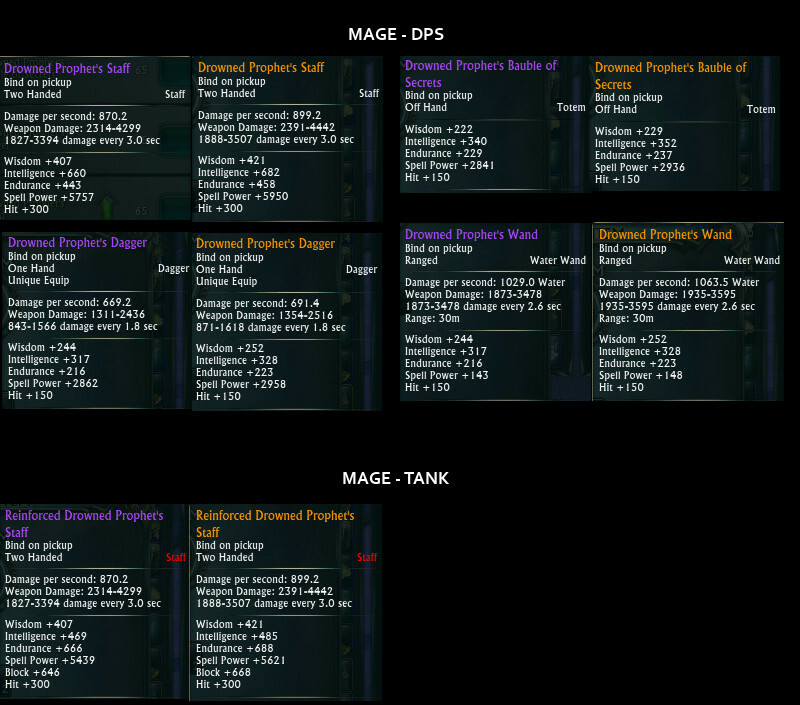 RIFT Store -> Equipment -> Weapons now also has ‘Drowned Prophet’ Tier 2 weapons, available for both Fragments of Madness raid currency as well as Credits. 1h/oh/shield/ranged weapons cost 25,000 Fragments of Madness or 17,000 Credits (15,300 for Patron). 2-handers cost 50,000 Fragments of Madness or 34,000 Credits (30,600 for Patron). Given that these are the same Credit price as the Tier 1 weapons, they might be placeholder values. Note: Currently the weapons are +150/300 Hit, which is obviously wrong. [Update: Hit adjusted to +175/350 in 29th Oct PTS Update]. The T2 Store weapons follow similar patterns to upgrade to relic. 2-handers are 26x, the rest are 14x Abyssal Crusader’s Accelerators. The Eye of Untold Madness is the Tier 2 relic upgrade component. Akylios in Hammerknell Fortress drops 3x, whilst Uruluuk in Intrepid: Gilded Prophecy drops one in normal mode and a 2nd one in hard mode. 2-hander (Hammer/Staff) uses 2x Dreaming Ornament Amender. 2-hander (2h Axe/2h Sword) uses 2x Nightmare Weapon Amender. 1-hander uses 1x Nightmare Weapon Amender. Ranged (Wand) uses 1x Dreaming Ornament Amender. Ranged (Bow/Gun) uses 1x Nightmare Weapon Amender. Offhand (Totem) uses 1x Dreaming Ornament Amender. Offhand (Shield) uses 1x Nightmare Metal Amender. 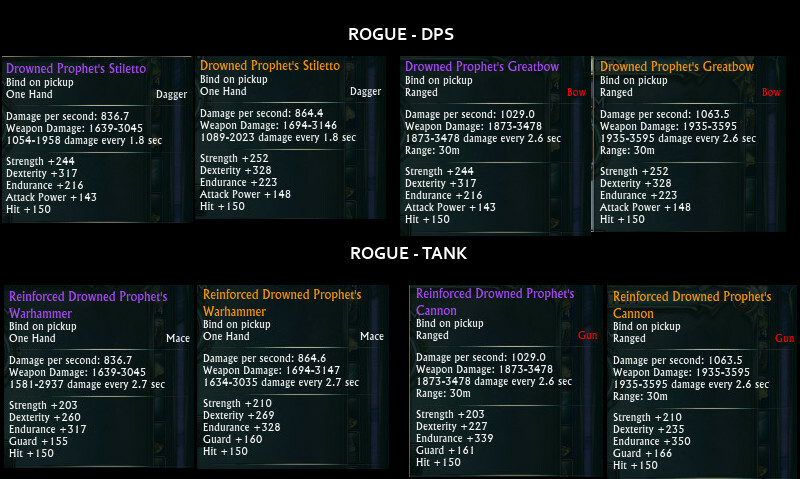 Just like their Tier 1 counterparts, the Tier 2 Store weapons do not have procs. Tier 3 Test Gear is now up in Master Mode Dummy Foundry on the PTS. Yes, the Dummy Foundry already sold T3 DPS gear, but the vendor has now been updated with two new sets containing Tier 3 store-bought armor. Hit is +200. There’s also stacks of various relic amenders. The name of the armor pieces are “Enslaved God’s”. Tier 3 Raid Currency is called “Fragments of Darkness“. Weekly cap for Patron is 8,600; although that could be placeholder. There’s also new ‘Dropped Item’ packs for T3 raid-dropped gear. There’s some placeholders in there, including some aptly named “PLACEHOLDER” gear. 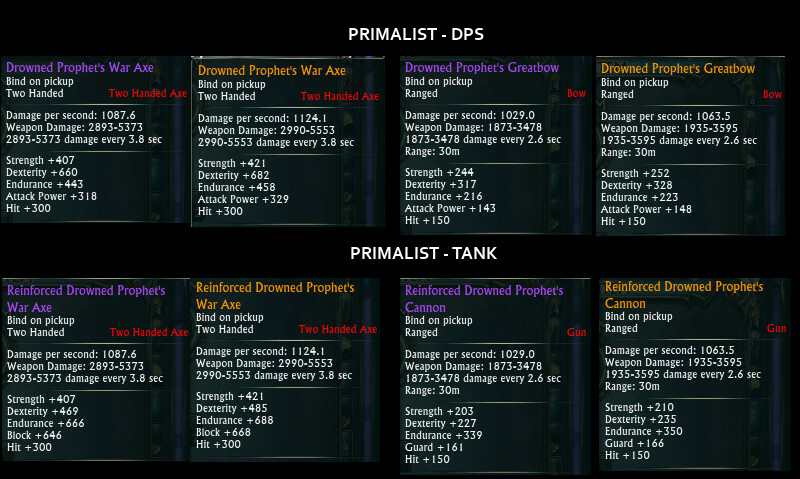 Upgrades are currently all over the place, with DPS gear being ‘upgradeable’ to Tank gear for no cost (or is this intended?). The raid-dropped armor also has 2 upgrades. 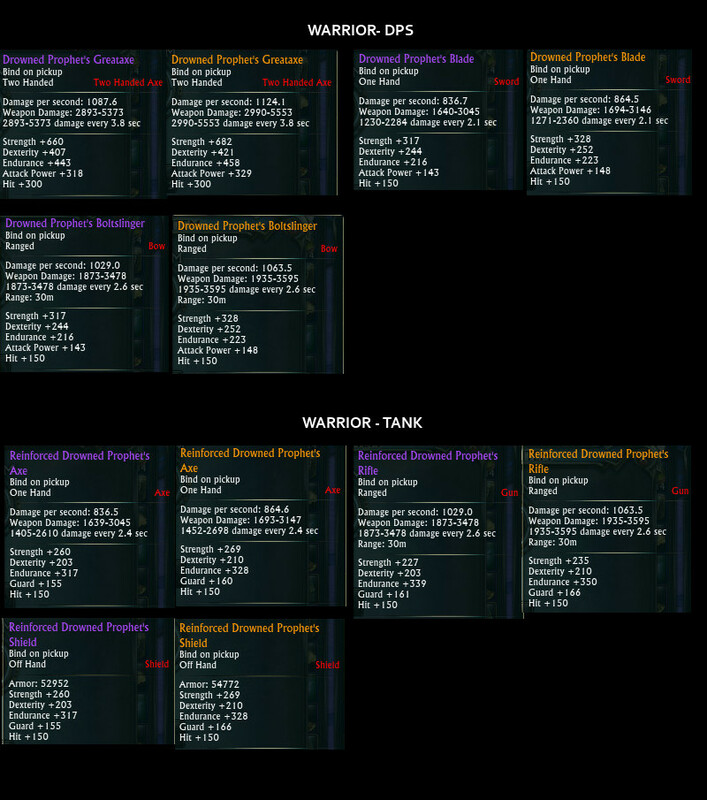 First one adds set bonus whilst second boosts its stats up to the same level as store-bought armor. The icons are likely dimension key bundles. The ‘sack’ graphic is used a lot for various dimension-related bundles/grab bags and the stuff sticking out of the sacks are clearly keys. 1st ‘Green Sack’ bundle: Plaza Aurentine (or Temple of the Abandoned); Dormant Core; Octus Monastery. 2nd ‘Brown Sack’ bundle: Moonshade Pools; Shoreward Island; Central Necropolis. 3rd ‘Orange Sack’ bundle: Breach Chamber; [Unsure]; Strozza Estate Villa; Empyrean Mill. 4th ‘Yellow Sack’ bundle: Infinity Gate; Deepwood Cottage; [Unsure]. Of course, perhaps the icons just use existing key graphics and it’s quite possible that the bundles might relate to new Dimension Keys. 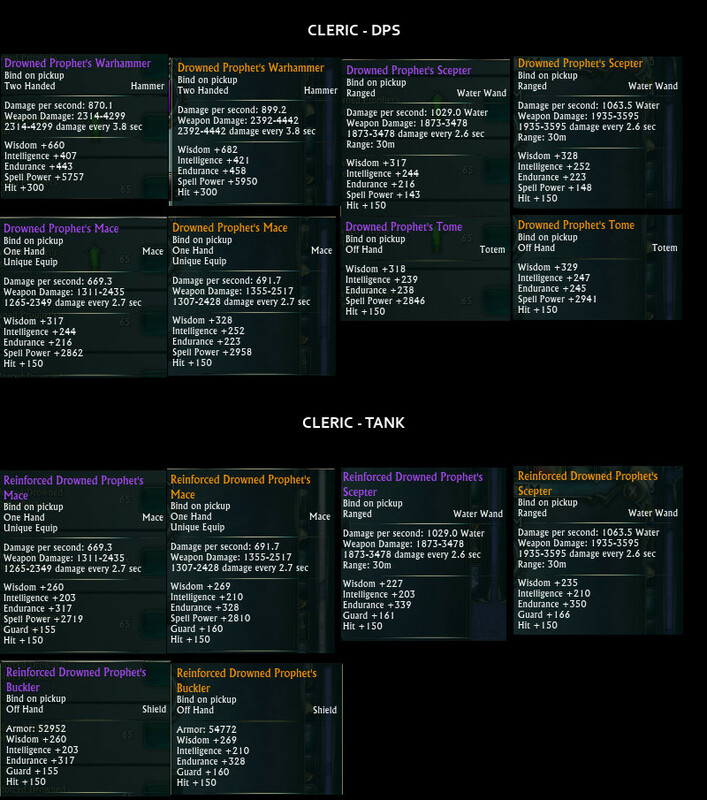 Morticus was looking into adding some new Dimension Keys for 3.3 (no promises! ), but they were clearly delayed or scrapped. 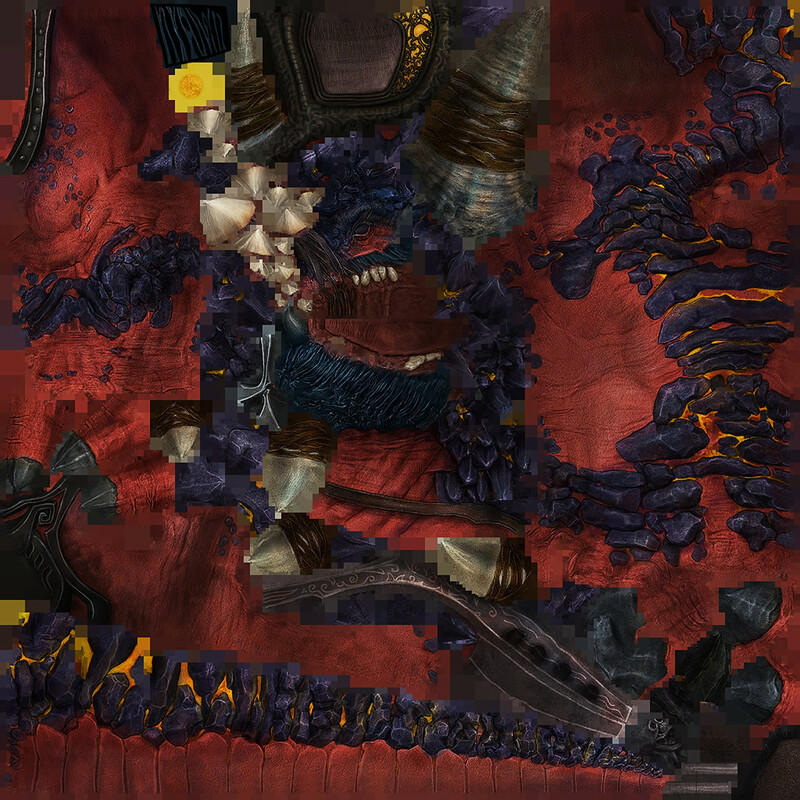 A new Feature Image was spotted in the data files for the latest PTS update. It shows off the Forgemaster’s Inferno helm that is currently previewable in your Wardrobe on Live. It’s a floating skull similar to the Skull Knight Costume Bundle’s helm piece. Main difference is that the Forgemaster’s Inferno has flaming vfx bursting from its head/eyes. The fact that the Forgemaster’s Inferno has its own Feature Image suggests that it might appear as a Credits-only wardrobe piece on the RIFT Store. It’s clearly Halloween-themed, so I’m guessing it might appear in the final week of Autumn Harvest. The data files also contained a fire-based Ash Strider mount skin. The new fire-based Strider mount is red with yellow ‘lava’ textures and yellow eyes. Perhaps it’s a Planetouched Wilds-themed Strider mount. Model shows its name as “raptoroq_fire_red.ma”. Pretty sure “raptoroq_fire” is the Infernal Strider, so this is a red version with yellow eyes! Look forward to the mount coming to Live at some point in the future. Maybe it’ll be in a lockbox that also gives a chance at the Forgemaster’s Inferno helm. As we draw closer to November (and thus the release of the first 5 bosses of the upcoming Tier 3 Mind of Madness raid), the PTS is starting to add new MoM-related additions. Yesterday it was the weapon and armor skins (weapons viewable on Live with “_” search term) and today its T3 test gear and Tier 2 bundles/weapons. Also look forward to the Fire-based Strider mount and Forgemaster’s Inferno officially becoming available on Live! Why is 200 Hit the false value for T3 since T1 has 150hit and T2 has 175hit? Yep, you’re right Famir. I’ve been using 2-handers for so long I confused the 200 Hit for being lower than 350 Hit. As you’ve mentioned, 200/400 Hit is correct for Tier 3.